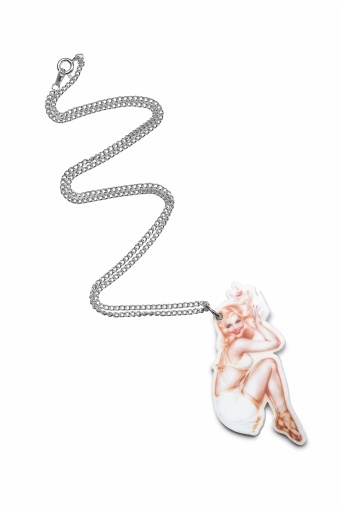 Truly one-of-a-kind Pin Up Wendy necklace silver by Bubblegum Vegas. 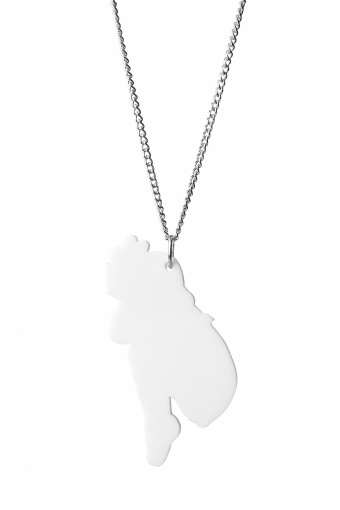 Short silver toned (nickelfree) necklace with acrylic pendant in Pin Up-style. This really cool image of dazzling Wendy in classy and warm tones pimps your outfit in a second!